#N0.1: Bride And Groom Poses (Arm Placement) - Arm placement is so simple, yet effective throughout wedding photography. So, as you begin to direct your couple through their poses, think about their arm placement as you do this. By default, they will likely have their arms straight to their side. This may be because they’re feeling a little self-conscious that the camera is on them, or just because the wedding day can be pretty nerve-wracking as a whole (in a good way though!). Nerves/ excitement can come across throughout your client’s body language, so, try to make it look soft on camera. Have your couple pose together, where their arms interlock or ask them to hold hands and smile at each other or the camera for a relaxed candid look. When you use angles to pose their arms within the frame, you’ll notice the diagonal lines that you’ve created. This will inject interest into the photograph. #N0.2: Bride And Groom Poses (Diagonal Lines) - Our previous point led us on very nicely to our next one... diagonal lines. While giving direction to your clients, you should be paying attention to the line that each of their body parts create. In fact, you should be watching out for this, just as much as their arm placements. Diagonal lines are really important and effective when created with the arms so, this is why you should be paying them a lot of attention as the photographer. Going back to our first point, stiff arms are not ideal on camera. So, try to get your client to loosen up and feel comfortable in front of the camera. To add dimension and interest to the photo, have the Bride bend her arm and pick up her dress. This will create a diagonal line and also includes movement within your frame of shot. #N0.3: Bride And Groom Poses (Natural Interaction) - Candid movements and natural interaction between a couple is beautiful. These are the kind of images that you should be aiming to catch on camera. When a couple is first in front of the camera, they may be a little timid. This is completely normal. In fact, you should expect it! 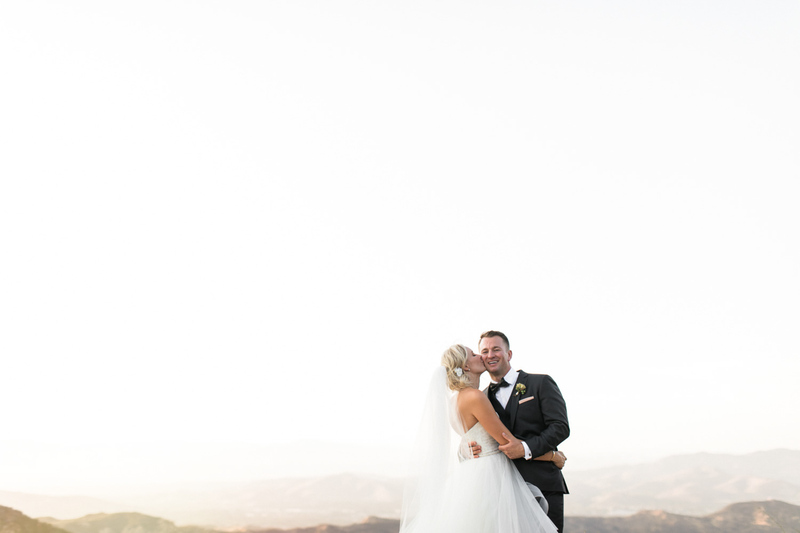 The photos from their wedding day should represent the love and connection that they have. As the wedding photographer it’s down to you to find ways to make them feel comfortable. You could direct your clients into poses where they have to hold hands and walk, sit close to one another and talk, or the Groom could wrap his arms around the Bride. The more at ease they are, the easier it will be to capture their genuine emotions within your images. #N0.4: Bride And Groom Poses (Correct Posture) - Posture is everything on camera, trust us! If your couple slouches, the poses are not as effective. Provide direction and let them know to breathe in right before you take the photo. This helps them to straighten their posture and it will make a large difference throughout your images. If one-person slouches, it can throw off the entire image so, be sure to use this tool when you’re taking images of a large group of people too! No photographer wants to play the game of who’s the odd one out? We’ve got more Bride and Groom poses and ideas up our sleeves so, stay tuned for the second instalment of this article to find out what they are! In the meantime, why not follow us on Facebook? Join the conversation!